This duffel has all the bells and whistles - think ventilated shoe compartment, signature hidden water bottle holder, padded, adjustable shoulder strap, and five exterior zip compartments - packed into a smaller frame that sits upright in a gym locker. So, when you're looking for a bag that'll go twelve rounds, keep the Boxer in your corner! Love the colour, I am a petite person and the size of this product is perfect for me. 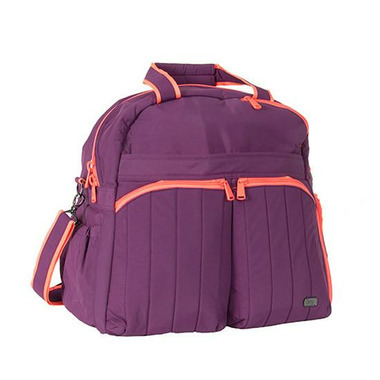 This product is light weight and very roomy for all things I need for my weekends- get- a-way. Great price and I love the colour. Wish it was slightly bigger, but I purchased it for my mom who is petite, so the size works for her.